Japanese Foreign Minister Fumio Kishida (L) plans to discuss North Korea’s recent nuclear bomb test with Russian Foreign Minister Sergei Lavrov (R). 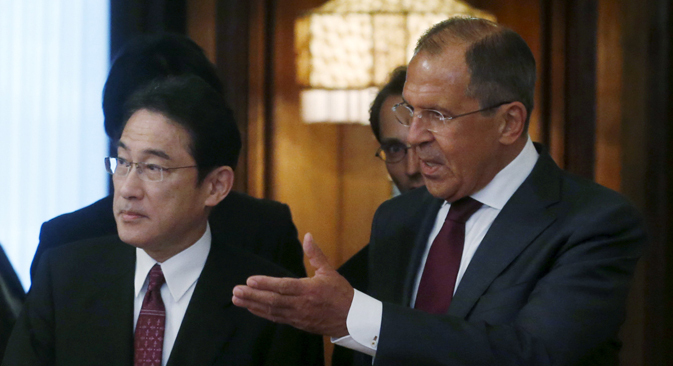 Fumio Kishida is likely to call Sergey Lavrov this week. Japanese Foreign Minister Fumio Kishida plans to discuss North Korea’s recent nuclear bomb test with his Russian counterpart Sergey Lavrov, Sputnik News reported. “I wish to speak to the foreign ministers of China and Russia, this is likely to take place in the beginning of the week,” Kishida said on Jan. 8, according to the report. He added that Pyongyang's nuclear arsenal poses a threat to the entire world. On Jan. 6, North Korea claimed it had carried out its first hydrogen bomb test.